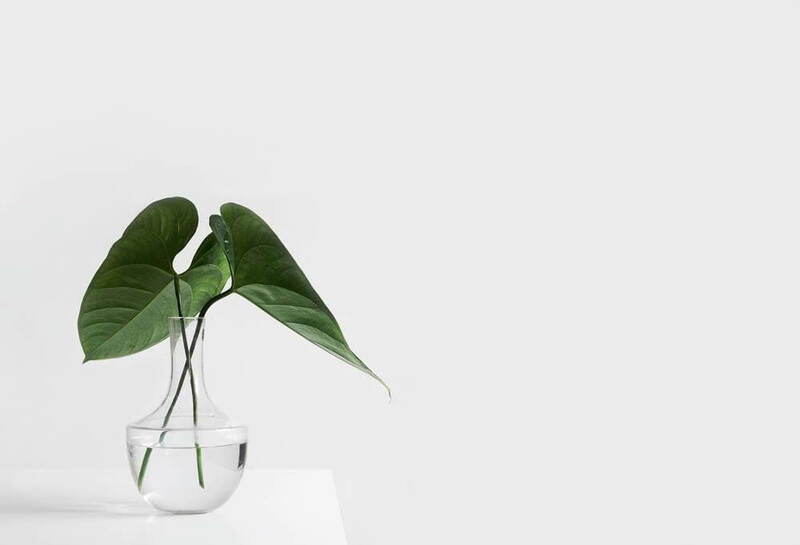 Studies show that keeping plants in your workspace or even within view of your workspace can improve your physical health, contribute to your emotional well-being, and boost your productivity. In the following article, you will learn more about these benefits and about which plants work best, so that you can take advantage of this effect in the best way possible. Living in an area with green spaces improved both your physical as well as mental health. This includes, for example, a reduced likelihood of suffering from depression or anxiety. Working in an office that has plants leads people to feel more productive, and makes it easier for them to concentrate on their work. Keeping a plant within view of your workspace improves performance when working on projects that require creativity. Being able to see green vegetation, either from the window near your desk or as you walk through the building where you work, significantly improves your emotional wellbeing. The presence of plants in a room can help people cope with pain. This can be important, for example, for patients recovering from surgery, who tend to heal better when they recover in a room with plants. This improvement is evident through factors such a shorter hospitalization period, fewer incidents of reported pain, a reduced use of pain-relieving medication, less fatigue, and more positive feelings overall. Furthermore, a similar improvement occurs when patients stay in a room with a view to a natural setting. Plants can help reduce indoor air pollution, by reducing the concentration of volatile organic compounds, which are recognized as one of the causes of building-related illness (which is also known as the sick-building syndrome). The exact number of plants required for this depends on various factors, but in general, placing even a few small potted plants in a room can make a notable difference in air quality. Because of these benefits, there is a general push for the use of biophilic design in modern architecture. Such design involves incorporating natural elements, and most notably plants, into human living spaces, particularly in urban settings that usually contain few such elements. There are various psychological theories as to why seeing plants is beneficial to your physical and mental health, and researchers are still not certain why exactly exposure to plants has this effect. Two dominant theories on the topic, which we will briefly discuss below, are the psycho-evolutionary stress recovery theory and the attention restoration theory. The psycho-evolutionary theory suggests that “ancestral experiences within natural environments have resulted in better physiological and perhaps psychological adaption to natural vs. built or ‘artificial’ urban environments”. Essentially, this means that because humans evolved primarily in natural settings over the course of history, they feel more comfortable in such an environment. Under this theory, a natural environment increases the positive emotions that people experience, which limits the physiological stress that they feel. This is advantageous from an evolutionary perspective, since an increase in positive feelings is associated with various physical, emotional, and social benefits. On the other hand, the attention restoration theory suggests that the modern urban environment requires us to constantly pay attention to our surroundings, while picking up on salient details and filtering out unimportant distractors. Doing this nonstop extracts a cognitive toll, and causes us to experience mental fatigue. Under this theory, natural environments are considered to be ‘restorative’, because they allow for a relatively automatic engagement of our attention, which is less mentally taxing than an urban environment. As such, exposure to natural elements facilitates rest, and gives our cognitive system a chance to recover from its daily work. Currently, there is no consensus regarding which theory provides the best explanation for the positive impact of plants. Furthermore, it’s entirely possible that neither theory is the right one, or that the true answer involves some combination of the two, especially since the two theories are relatively similar overall, as they both assume that we are better adapted to living in a natural environment, as opposed to an urban one. The important thing to remember is that regardless of the reason why it happens, exposure to plants and to natural environment has a powerful, positive effect on people, in terms of improving various aspects of their health, wellbeing, and productivity. In the next section, we will learn how you can take advantage of this effect in the best way possible. In general, the greatest improvement in wellbeing comes from having a number of small, green, slightly scented plants. In addition, you will like benefit from having a combination of foliage plants together with some flowering plants, as opposed to having only foliage plants. As such, when getting plants for your workspace, your best bet it to get a number of small, green, slightly scented plants, some of which have flowers. They should ideally be placed near you, and in a location where you can easily see them. Keep in mind that these guidelines represent the general recommendations for getting plants. However, if you have any specific preferences for plants that you would like to keep around, you will likely benefit from having them, even if they don’t conform to these guidelines exactly. Furthermore, if you’re getting plants for someone else, try to get their input on the topic first. This will help you pick the best plants for them, and studies show that when people have input into the choice of which plants they see, they tend to benefit more from having these plants. Before deciding which plants to get, it’s important to keep in mind the maintenance required when it comes to keeping them in the long-term. This means that there is no point to getting a lot of high-maintenance plants if you won’t be able to take care of them in reality. As such, if it comes to choosing between a lot of plants that will end up dying after a short while, or a single plant that you will actually take care of, go with the single plant, since in the long run it will produce better benefits than nothing at all. If for some reason you can’t keep real plants in your workspace, there is still a chance you could benefit from some of the effects of plants. Specifically, an alternative option is to get a few fake plants, or a few pictures of nature. While these won’t have the same benefits as a real plant, research suggests that they could still be beneficial in some ways, so if it comes to choosing between these alternatives or nothing at all, go with them. In addition, keep in mind that a view to green spaces, such as lawns or trees, is also beneficial, especially if you can’t get any plants indoors. This means that you miss out on some benefits, such as the plants helping clear out indoor air pollution, but will still get to enjoy many of the other benefits of keeping plants within view. Obviously, setting up such a view after you’ve already settled in is often not a realistic option, but it can definitely be something that you take into consideration when picking out where to live and work. Research shows that having plants in your workspace or within view of your workspace offers various benefits to your physical and mental health, as well as to your productivity and creativity. These benefits include, for example, a reduction in indoor air pollution, faster recovery from illnesses, an improved ability to concentrate, improved performance on creative tasks, increased feelings of wellbeing, and a reduction in the likelihood of suffering from depression or anxiety. These benefits have been attributed, among other reasons, to the fact that humans evolved to live in a natural environment, and so such an environment facilitates rest and gives our cognitive system a chance to recharge itself, compared to the urban environments in which most of us live. In general, the greatest benefits of plants come from keeping a number of small, green, lightly scented plants, with a combination of both foliage and flowering plants. However, your personal preferences may vary, and it’s important to take this into account, and get plants that you like. When deciding which plants to get, it’s also important to take their maintenance into account. Avoid getting plants that you won’t be able to take care of in the long term, and if necessary, you can get fake plants or even pictures of nature, which can provide some of the benefits that regular plants do.